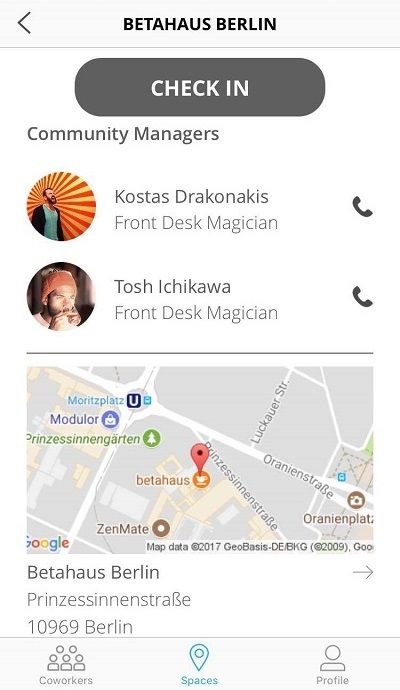 What information about my space is going to be displayed on the app? 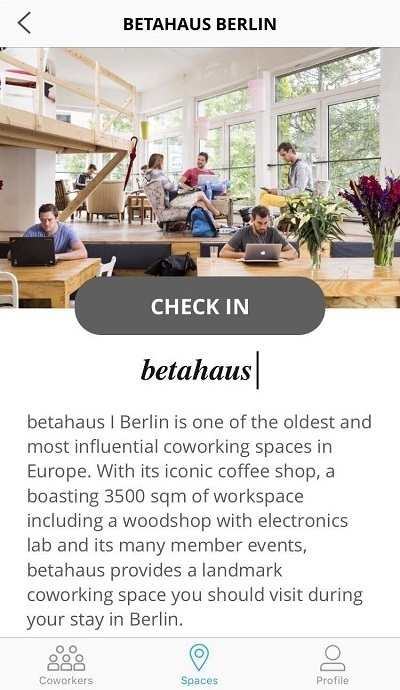 What information do you advertise on One Coworking app? 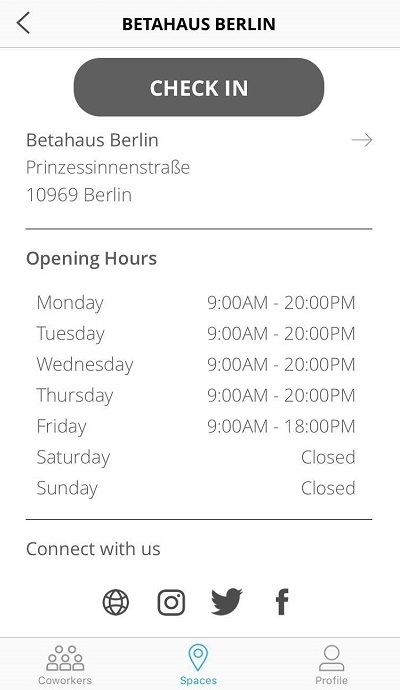 We inform our clients about your opening hours and provide them with community manager’s contacts, links to social media, a few photos and a description. Below you can find screenshots of how it is going to be displayed on the app.